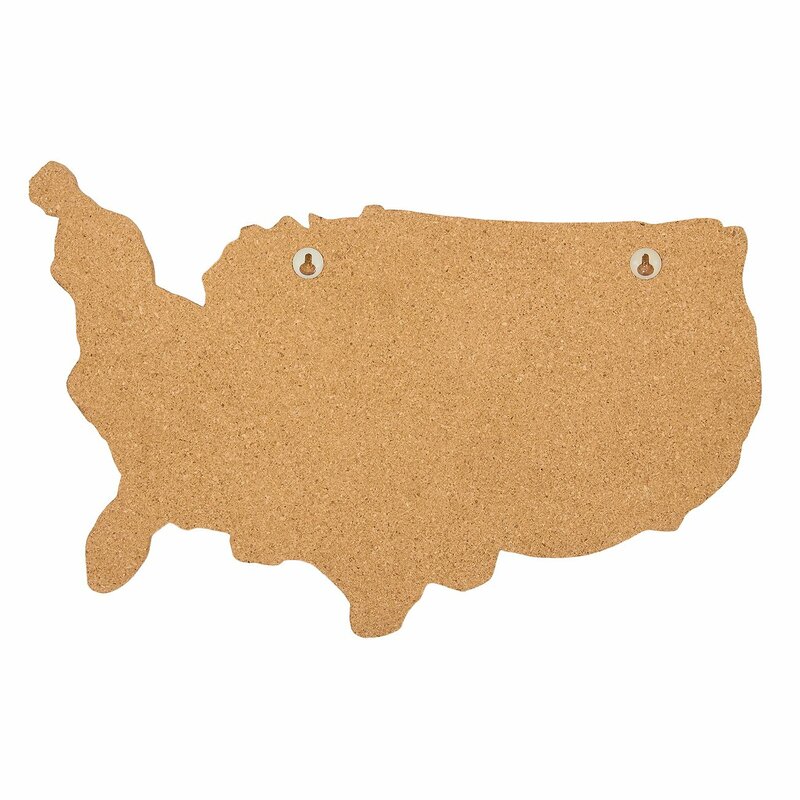 SET INCLUDES: Decorative USA shaped cork board featuring the outlines of the continental United States. 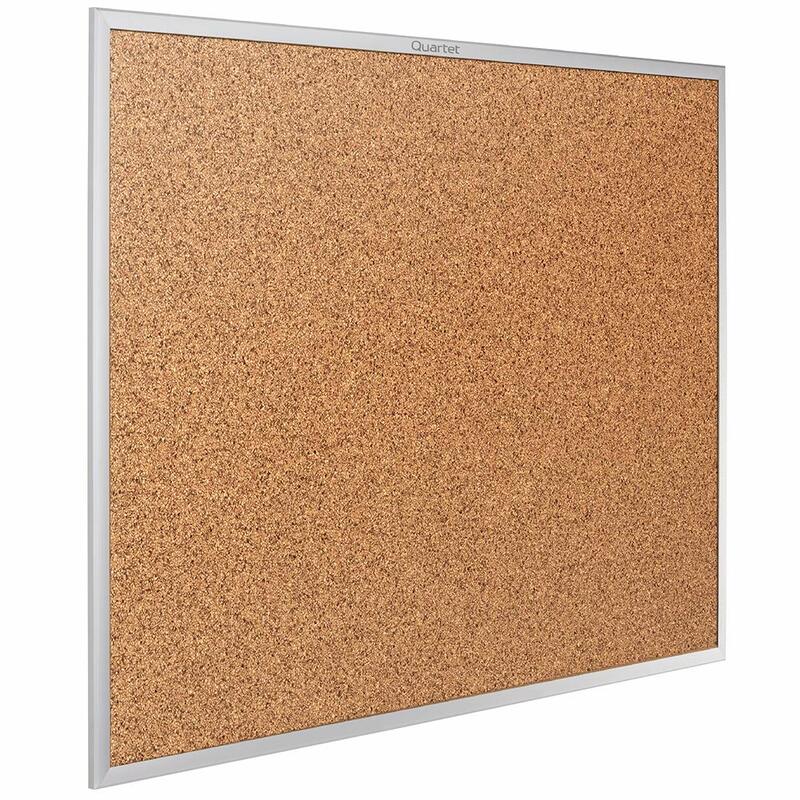 Comes with 10 push pins. 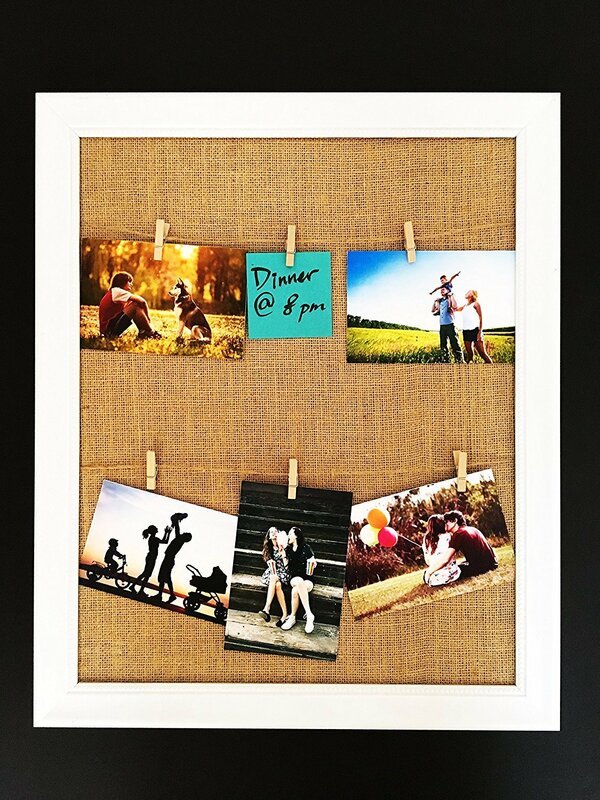 Great for pinning cards, pictures, lists and so on. 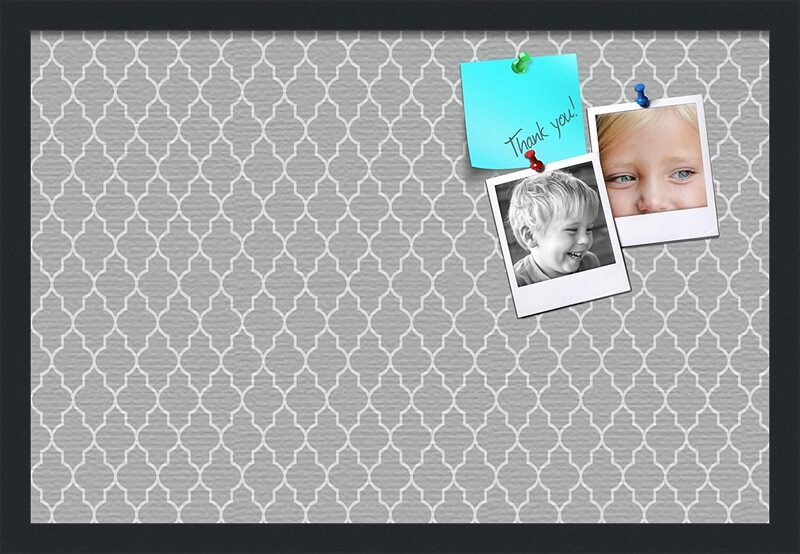 MULTI PURPOSE: Use the US map board to track and showcase your past /future trips to your guests. 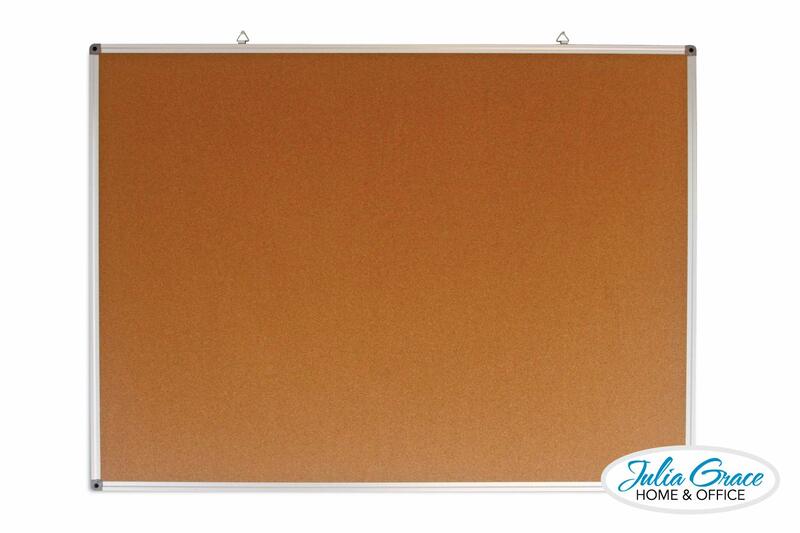 Or pin your photos, post cards, notes and to-do lists to the board. 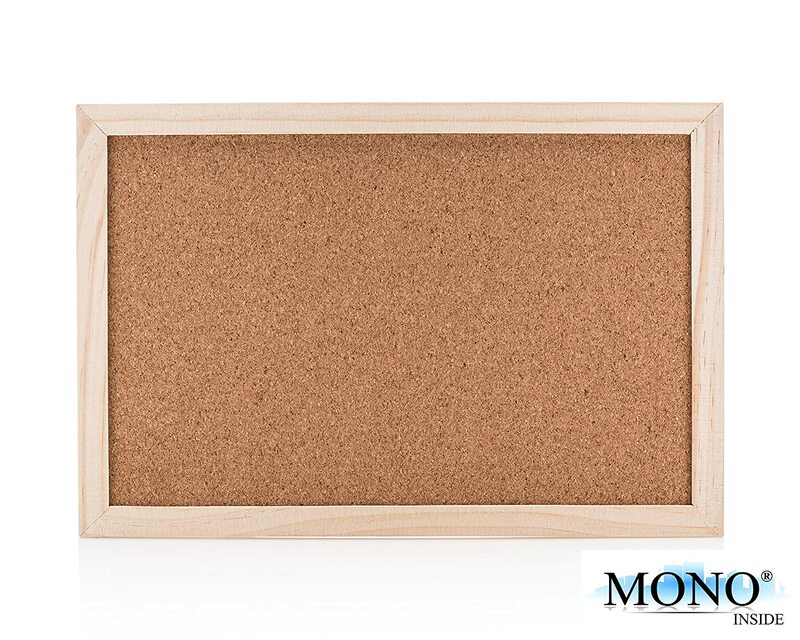 EASY TO INSTALL: Simply insert 2 nails (not included) into your wall, then hang the board onto the backside plastic brackets. 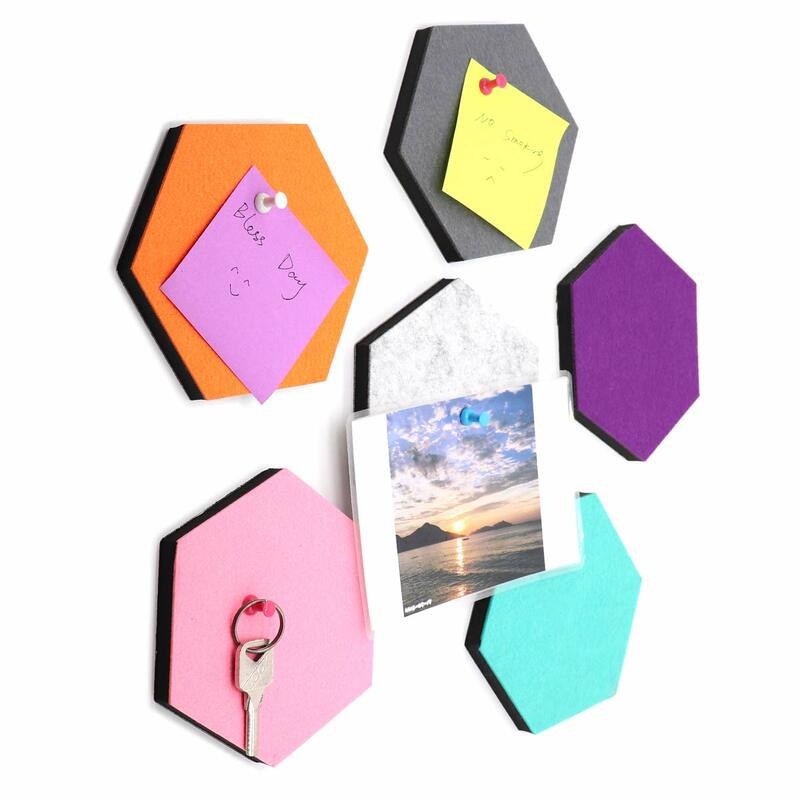 PERFECT GIFT: Whether it's for a housewarming, birthday or office party, the corkboard map always makes for a cool gift! 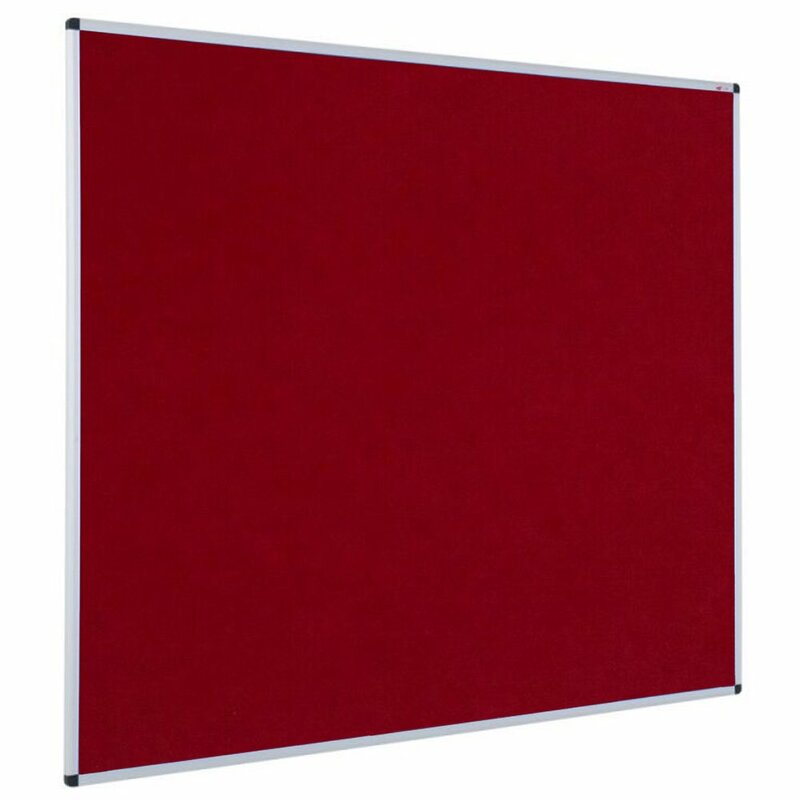 MEASUREMENTS: Board measures 17.7 x 11.2 x 0.03 inches. 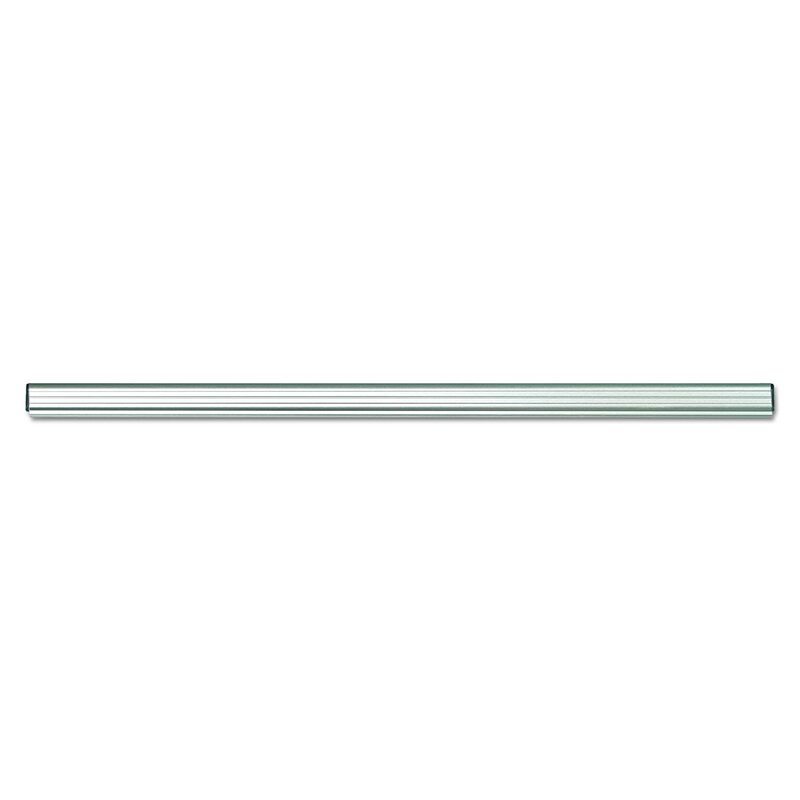 Push pins are 0.2 x 0.75 x 0.2 inches. Are you a travel bug and always planning for your next trip? 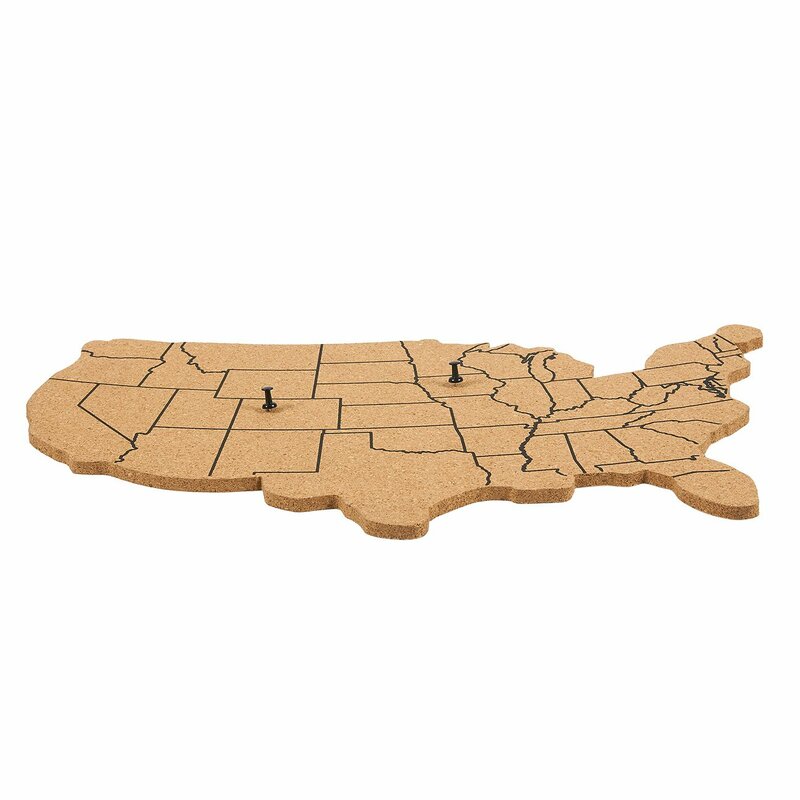 Show your travel milestones with Juvale's minimalist design corkboard US map! 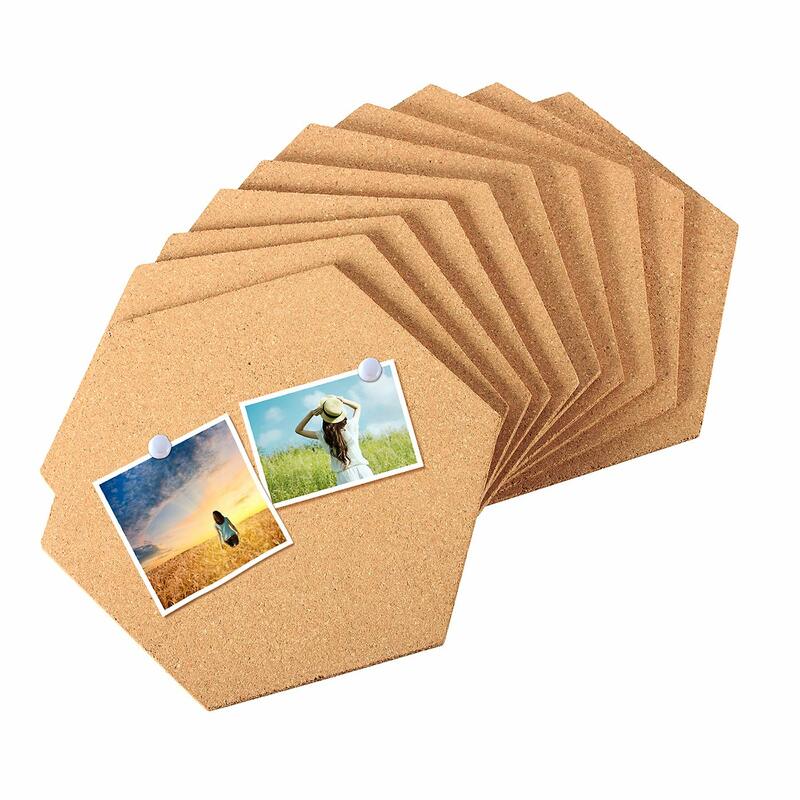 It comes with 10 practical push pins that you can use for planning your trips, adding pictures, notes or lists. 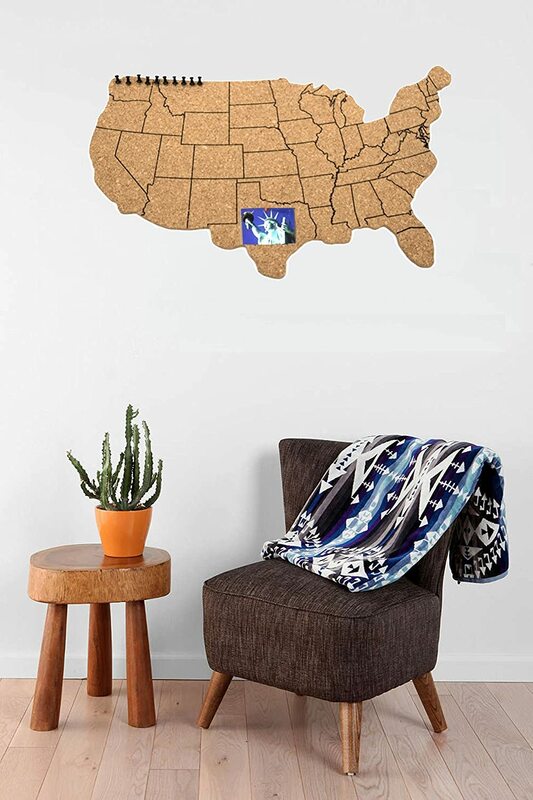 This map board will be the focal point of your living room or office and serve as a great conversation starter as well! I got this for my daughter and mounted it to a frame, it came out very cute and she loves being able to put the color coded pins into where sheu2019s been. Some of the markings on the map arenu2019t that great, but for what it is and the cost, Iu2019d recommend it. 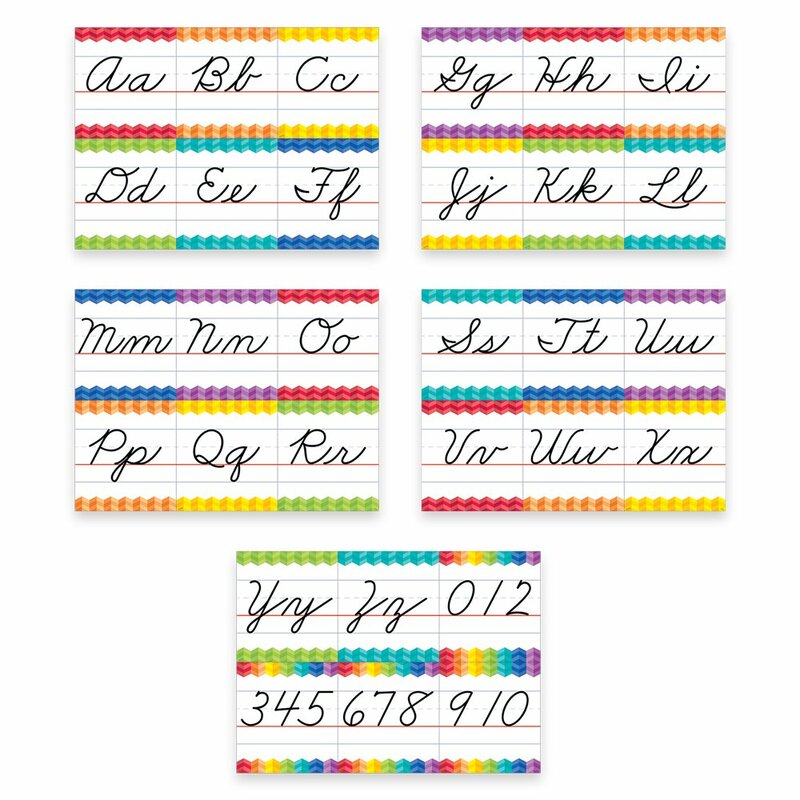 Very nice and will work great for state and capital identification games/activities! Great for teaching hands on geography! I gave this one star because of the quality of the print. The lines donu2019t go all the way to the edge of the cork (see picture) theres an extra line through Florida, and the chimney in PA is missing. Thatu2019s all I noticed but wouldnu2019t be surprised if there weee others. 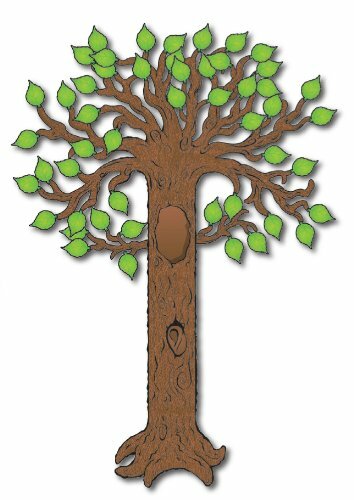 I purchased this item for my classroom so accuracy is a must. I ended up returning it because I found something similar (with no errors) for the same price. Pretty flimsy. 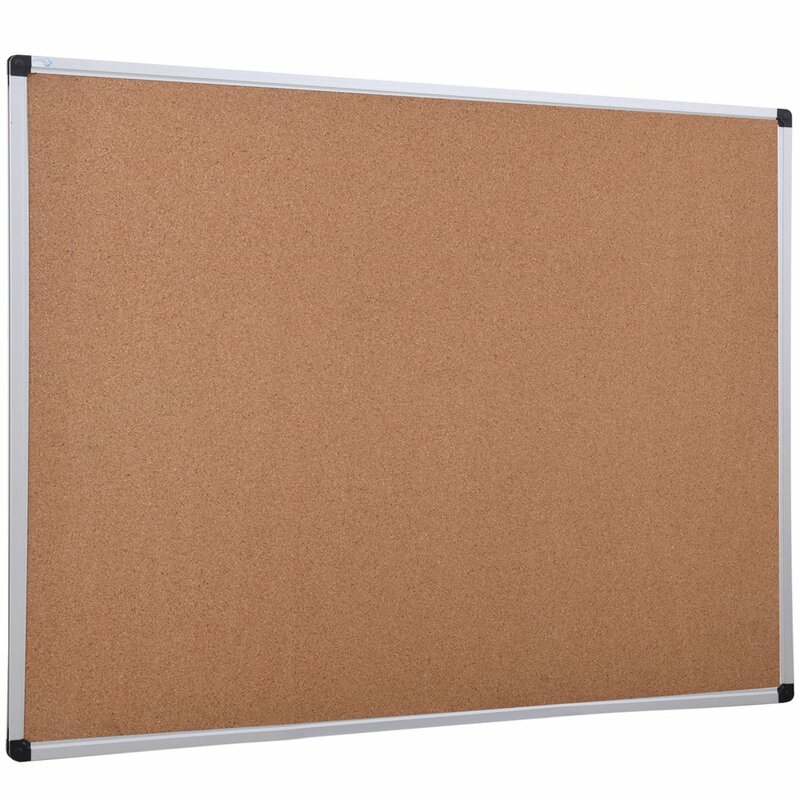 I thought it would have some kind of backing on it but it doesnu2019t itu2019s just flimsy cork board. Itu2019ll last for our project I think. 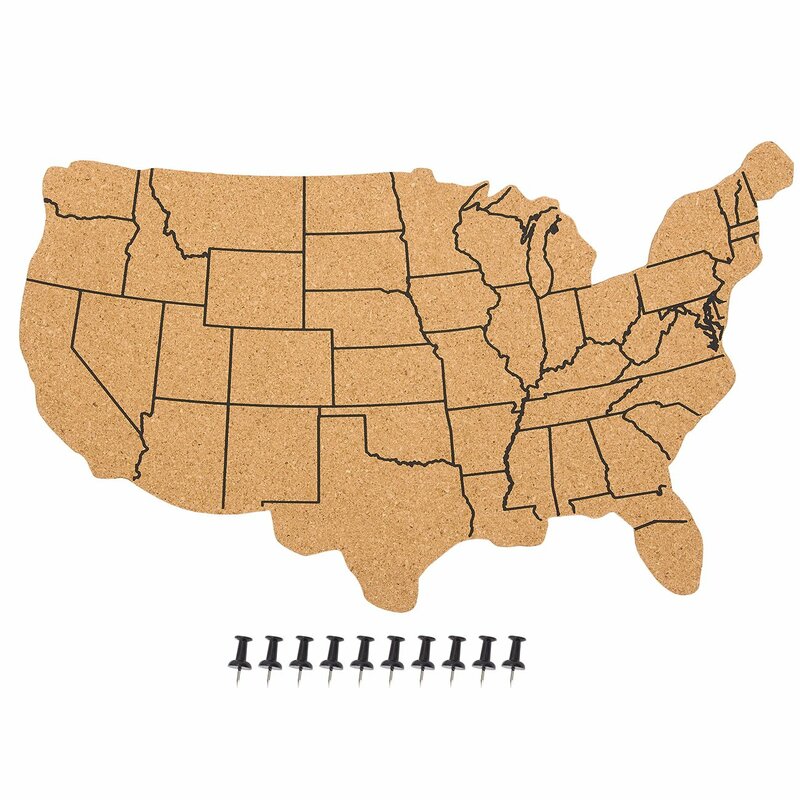 The lines are the map are terrible and in no way accurately represent the states. North and South Florida, I'm not a geographer but I don't think that's accurate. I bought this for all of my national park pins, It shows them off very nicely ! 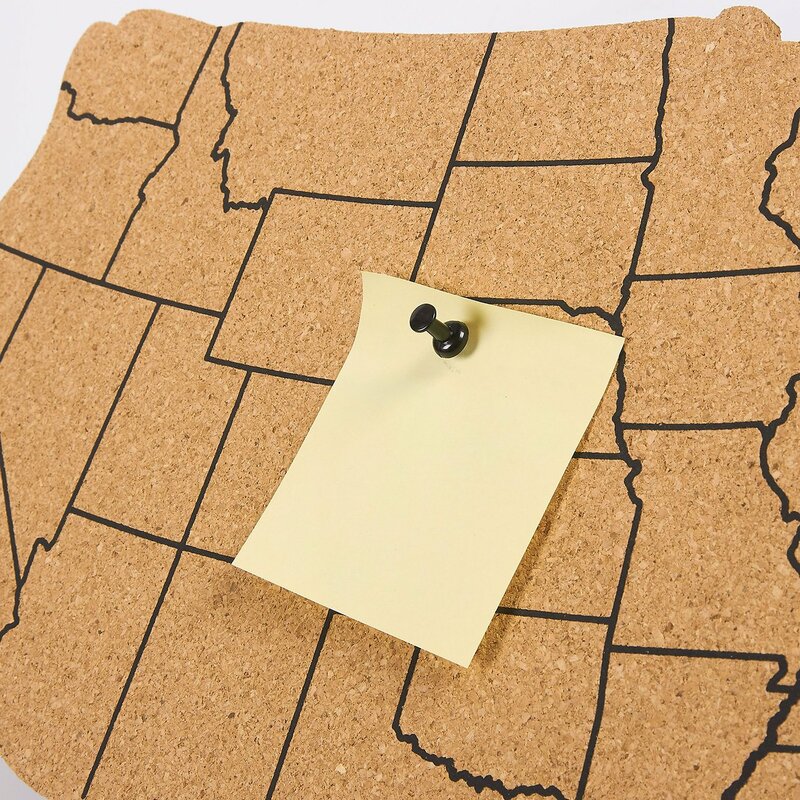 Great family gift to help keep track of states visited. Helps to reminisce about past vacations!